Hungarians preparing Japanese dishes; Koreans serving Eastern European fare; Salvadorans making kabobs –a number of D.C. chefs and restaurant owners serve cuisine from countries far from their motherlands. Some to great acclaim. But is the food authentic? Does it even matter? 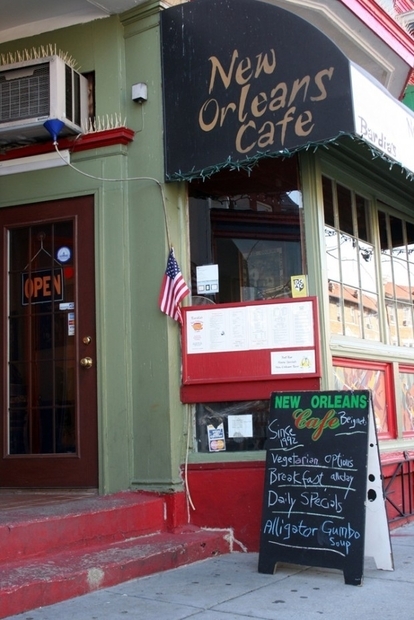 Bardia Ferdowski opened Bardia’s New Orleans Cafe in Adams Morgan 19 years ago. The Iranian immigrant spent more than a decade working in Louisiana restaurants while attending college. “The cross-pollination almost makes it better,” adds Martina Vandenberg, another customer. Some find the mix appealing, but the appearance of inauthenticity can hurt a business. Some diners post Yelp reviews with warnings such as, “This is not authentic Creole cuisine.” Other Louisiana natives love it. Take D.C.’s Ethiopian restaurant scene, which has grown over the past decade, resulting in mostly non-Ethiopian customers. “When it becomes a crossover hit, and becomes really popular with non-Ethiopians, it begins to look like an ‘inauthentic’ place” to some people, Kliman says. Bardia Ferdowski came to Louisiana from Iran to attend college. He worked at Cajun restaurants for a decade before opening up his own in D.C.
Bardia's New Orleans Cafe has been open in Adams Morgan for 19 years. Beignets are a popular dessert item at Bardia's New Orleans Cafe. Owner/chef Bardia Ferdowski says he creates them using his own recipe. Bardia Ferdowski takes empty plates from a couple dining in his Cajun restaurant. Ferdowski is an Iranian immigrant. Jose De Velasquez prepares a pizza at Moroni & Brothers. 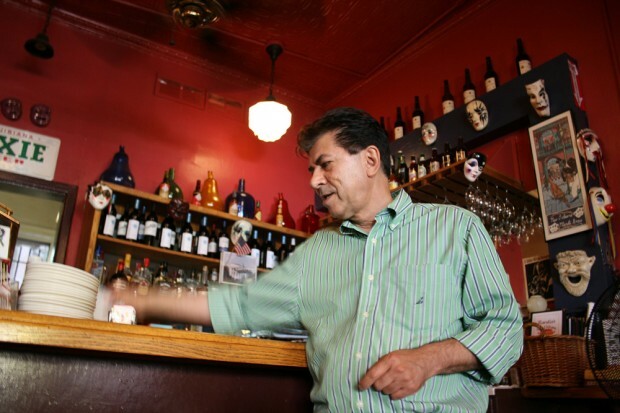 The Salvadoran immigrant spent years working at Pizzeria Paradiso before opening his own restaurant. Moroni & Brothers in Petworth has a menu that's half pizza, half Central American fare. Jeff Lindeblad eats a pizza with his two daughters at Moroni & Brothers. The Petworth resident typically orders pizza and quesadillas. Ferdowski feels a special connection to Cajun food. He says the southern hospitality he experienced in Louisiana “was just like home.” And he’s heard it all — people have mistaken him for French, Creole and Russian. “People are very curious because of my accent,” he says. Unlike Bardia’s, with its Cajun-only menu, the owner/chef of Moroni & Brothers made his roots very clear: the menu is half pizza, half Central American fare. Salvadoran immigrant Jose De Velasquez worked at Pizzeria Paradiso for 15 years, leaving after he worked his way up to kitchen manager. He opened Moroni & Brothers four years ago in Petworth. A wood-fire oven blazes in the back of the restaurant. Above it, a picture of De Velasquez making a pizza hangs on the wall, next to an ornament with “El Salvador” emblazoned on the front. At one table, a couple eats pupusas. 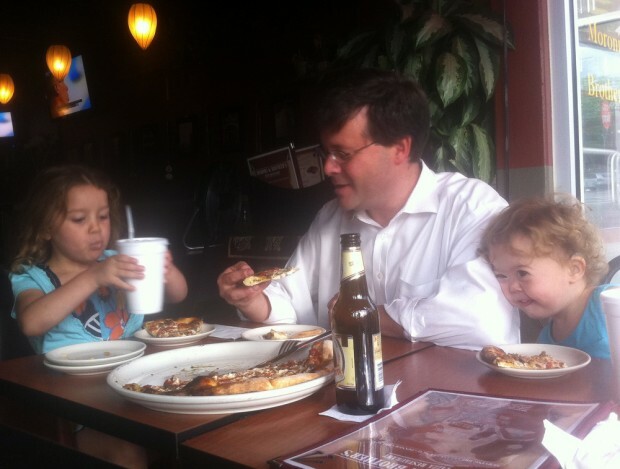 At another, Jeff Lindeblad and his two daughters eat their usual meal: quesadillas and pizza. The menu “didn’t seem odd at all” on his first visit, Lindeblad says. Moroni & Brothers is a classic example of how a kitchen worker can ascend heights to chef and restaurant owner. And the influx of Latinos in the area and in the service industry means Latinos are among those successfully climbing the ladder. Take Johnny Kabob, a Salvadoran-owned Persian restaurant in Germantown. The owner started out as a dishwasher in a Persian restaurant. Now, he has Iranians telling him his food reminds them of their mothers’ cooking. It’s the same master-apprentice model that’s been practiced for hundreds of years, Kliman says. But even though the original masters may have shared a homeland with the cuisine they’re preparing, now a new crop of masters don’t have a country in common with the food they love and serve. Your turn: How important is authenticity in a restaurant? How do you judge a restaurant’s authenticity? Let us know in the comments below – and we wouldn’t mind a D.C. restaurant recommendation if you’ve got one. sometimes i want authenticity. sometimes i don’t. if i’ve traveled, i may want to eat a piece of that place back here in dc. if i don’t know anything about a place, i would like to get a sense of it, and eating out is one small way. i’ve never had authentic mexican, for instance. my sense of what that might even be is so far off, it’s laughable, but i don’t really care. sometimes though i crave a pizza parlors identical to ones i ate in my youth in northern new jersey. mostly though, i want life to be fun and creative, and creativity inherently involves change and inovation. at home, i combine irish cooking with indian cooking. i mix my sense of mexican with thai. all the time. too many fun and delicious results occur and we lose out when we don’t mix things. creole is a prime example of why mixing is fantastic. creating Creole is all about throwing away authenticity. italian food wouldn’t be italian food if they hadn’t tossed away authenticity when marco polo got back. to me, authenticity is like comfort food for when we need to be reminded, or when we feel lost. but the fun is in inauthentic. by the author of the book by the same name. I agree with Nandalal about food being “good” or “bad”. Also, I think the only way to get “authentic” cuisine is to go to the place where it actually comes from. The water, soil, grass and air all make a food what it is, and those elements can’t be transported somewhere else. Is the Red Stripe I buy in VA “authentic”? I don’t think so, because the Red Stripe I’ve had in the Islands tastes different! For me, authenticity has two meanings. One meaning is fidelity to the cuisine’s traditions. Another meaning is doing things in the spirit of a cuisine’s traditions. My common criticism of a lot of the pan-Asian restaurants in DC is that they serve a bunch of different types of Asian food that don’t go together, like Thai food and sushi. That’s low fidelity, in that the food is usually not of very high quality, and that’s against the spirit of the cuisines, in that they’re serving stuff that doesn’t go together. For high fidelity, I like Sushiko. Best sushi in the area, imo. And Pho 75. For high in the spiritness but NOT high fidelity, I’m not sure what I would cite for Asian food. I cook a lot, and I’ve done a veggie lasagne with whole wheat noodles, eggplant and kale, going light on the ricotta. I would think of that as being in the spirit of Italian food, but not necessarily in high fidelity to what Italian cooks of the past have done. The problem with Asian food is that its ingredients often don’t mix well across cultures. Completely different tastes. Within Asian cuisine, I’ve yet to go to a restaurant that mixes them well. There was this restaurant in Minneapolis, Chino Latino, that attempted to mix Latin American and Asian. It was an interesting concept, in that Latin American and many Asian cuisines use a lot of pork, have strong tastes, and share some herbs in common like cilantro. What we got was essentially an Asian menu and a Latin American menu, though. And their attempt at sushi had just too much going on to be good.